I am not a "cat person" but I love your avatar! So funny. Much better than the driving dogs in the Subaru commercial they are showing in Michigan these days. I am going to look at an 02 outback with a bad transmission, it's in NKY do you know any good mecanics? 124K I was going to try to get it for $1400 is that crazy? Are you a NFL follower/fan? Will have to study the sound proofing when the car is here. I've done similar write ups for BMW cars, which can be notoriously difficult & tend to dislike doing anything not easily restored to factory. I found your link helpful. Interesting how a useful grommet "disappeared" in the 2015 model year, but one poster put one where it was. We are looking to install a Laser Interceptor system as I have on my '14 335xi. Very effective and discreet. The head sensor/transmitter units have wires which run in to the cabin's central control unit. I generally use the OBD2 port with Valentine's "Savvy" connector for the V1 as it both simplifies wiring and reduces annoying false alarms below preset speeds. We're not particularly fast, but have no great love for revenue driven speed traps. The "Waze" app is also great. I rather liked the Forester XT. Tried a WRX, but found it just too loud and "boomy" at lower RPMs. I'd imagine the STI version is even more so. Great video & link. Loved the "to make it easier for searching" part- that's exactly how I found it & why I joined the board! Not as familiar with Subaru, but my wife agreed with my suggestions on the '16 3.6 which sounds like yours- everything but a hitch! Even with all this it is cheaper both in list & selling price than her old 2005 Toyota Sienna XLE Ltd was 11 years ago. Wow. We expect delivery in the next month. I see you have 2K+ posts & are familiar with Subaru. Might I ask if you have any knowledge on firewall access? I test drove a '16 Forester XT today & saw a nice, easy to use grommet in it, but don't recall anything in the 3.6. In fact, I've see some people here drilling through the firewall. Not something I'd prefer. Any thoughts or ideas? Your badge -- looks very close to what ours will look like -- when I get them. Photog? what do you shoot with ? me -- Canon 7D plus several fun lenses. Thanks dude! Let me know any time you are in the Washington state area. Will treat you to a beverage of your choice. Outback Owner. I've always liked Suabru vehicles. Now that I'm on my second one, I can't see me ever owning anything else! Retired Transport Operator. I was disabled in 2006. Since then, I get angry sometimes because I can't work on cars like I used to. Forgive me if I go off sometimes. It's nothing personal. 12:19 PM - johnre mentioned KentuckyOutback in post Most humorous post ever? 07:31 PM - KentuckyOutback mentioned brucep in post Change Your Oil Once A Year? 10:29 PM - KentuckyOutback mentioned Brucey in post Affordable High-Quality Tires. Will They Last? 01:42 PM - KentuckyOutback quoted johnre in post Most humorous post ever? 04:05 PM - Carl Abrams quoted KentuckyOutback in post Moki door steps..yes or no? 03:01 AM - KentuckyOutback quoted Lightingguy in post Thule crossbars for 2019 Outback Touring? 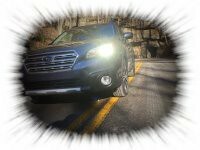 09:58 AM - Lightingguy quoted KentuckyOutback in post Thule crossbars for 2019 Outback Touring? 10:32 AM - Edd quoted KentuckyOutback in post Remote Start-Factory or Viper? 10:18 AM - Pilot1226 quoted KentuckyOutback in post Remote Start-Factory or Viper? 08:00 PM - Brucey quoted KentuckyOutback in post What did you do with your 5th Gen Outback today?